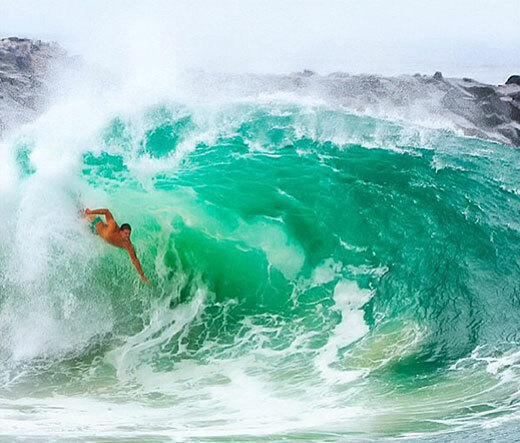 You might be surprised to know that I’m a horrible surfer. I love it, but I’m horrible and whenever I’m travelling internationally people ask me about surfing and I have to admit how terrible I am at it. Growing up we just never surfed, spent a lot of time at the beach but normally with the Life Saving Club (often called the Surf Club but has nothing to do with surfing). My buddies here on the Central Coast grew up surfing and they are all awesome and the love taking the mickey out of me. Saying that, I’m comfortable in the ocean and get in trouble because I have gone out on more than one occasion where the surf was too big for my surfing skills but I didn’t think too much of it. So yesterday morning I went for an early surf with some of the boys. After a few hours of surfing I just wanted to ditch the board so I dumped it on the beach and just swam out to where they were. I was wearing my wet suit when surfing but I was nice and warm by the time I went for a swim so I pulled off my wet suit and just went in my black speedos. Nobody cared and I was just hanging out the boys out the back and we saw a shark!!!! 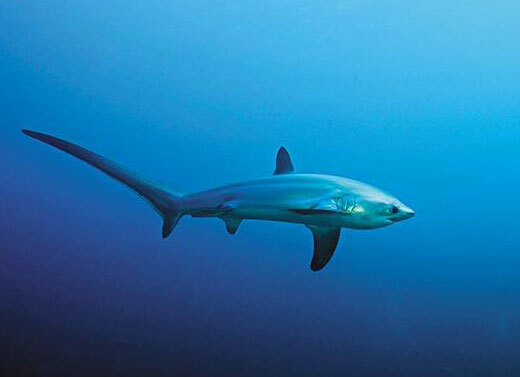 They boys told me it was only a Thresher Shark and that they see them all the time. That was still enough for me being out in deep water wearing nothing but a pair of black arena speedos. I made it back to shore no probs but I might stick to my end of the beach – hahaha. The 2nd pic is of a thresher shark, really long tail on them and this first pic is of a guy body surfing wearing a pair of Turbo speedos – he must have some extra room in the front because he has some HUGE BALLS riding a wave like that!! !